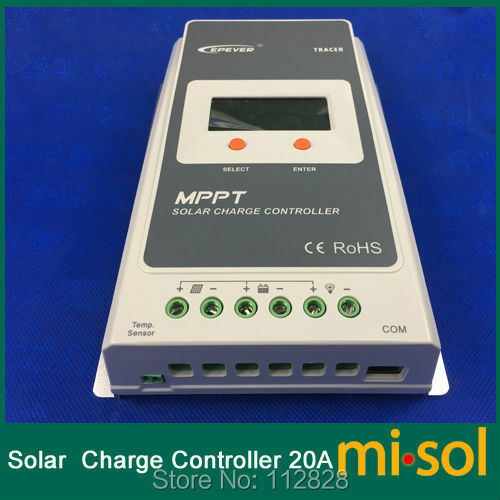 This listing includes: 1 pcs of MPPT solar charge controller, 20A, 12/24V. Thank you very much for selecting our product! 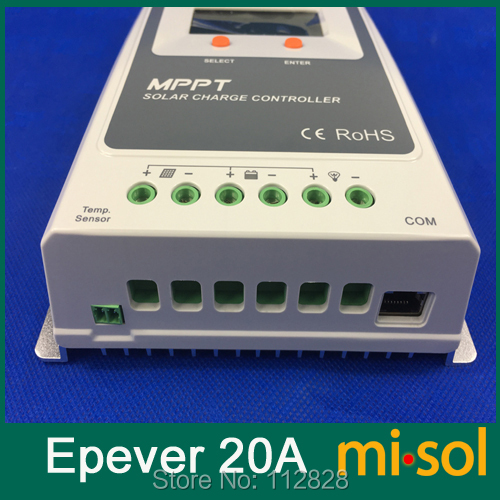 With MPPT control algorithm, in any situation, products of this series can fast and accurately track out the best maximum power point (MPP) of photovoltaic array, in order to obtain the maximum solar energy in time, which remarkably improves energy efficiency. There is dual display function: local LCD panel and remote meter. With Modbus communication protocol interface, it is convenient for customers to expand applications and monitor in various fields like telecommunication base station, household system, street lighting system, wilderness monitoring system, etc. - 1. 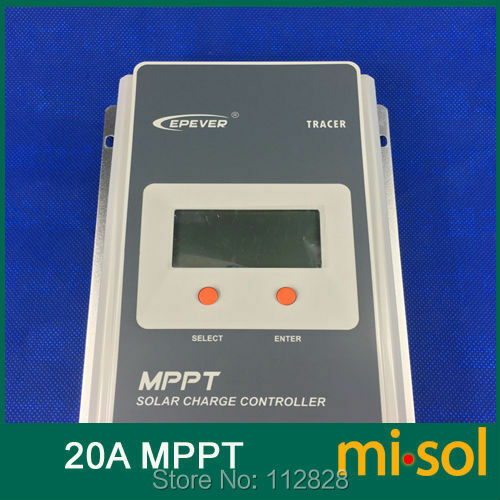 Advanced maximum power point tracking technology (MPPT) to optimize using the solar system, with efficiency no less than 99.5%..
- 2. Ultra-fast tracking speed and guaranteed tracking efficiency. - 3. Accurately recognizing and tracking of multiple power points. - 4. 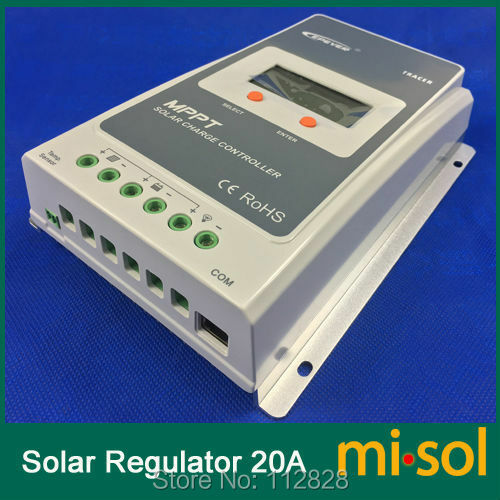 Reliable automatic limit function of maximum PV input power, ensuring no overload under any circumstance. 5. 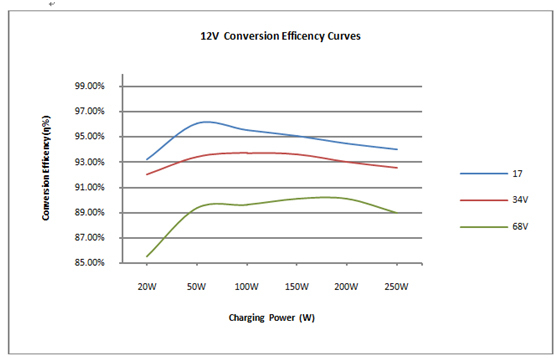 Wide MPP operating voltage range. - 6. 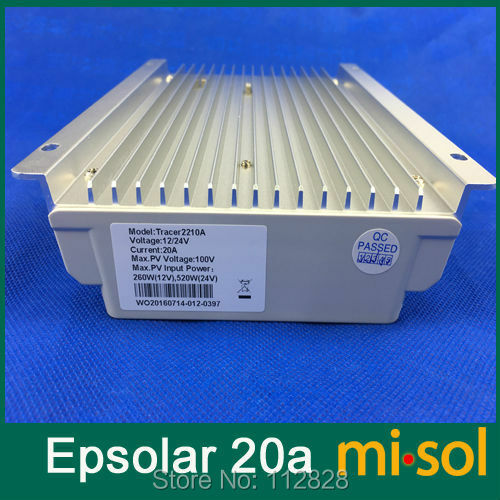 12/24VDC automatically identifying system voltage. - 7. 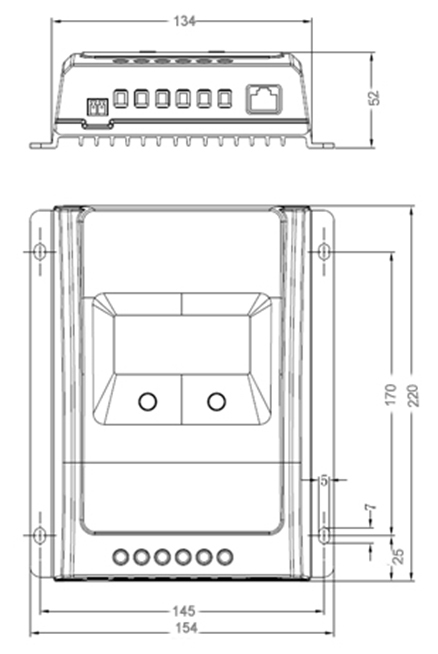 LCD panel display design, dynamically displaying tool’s operating data and working condition. - 8. 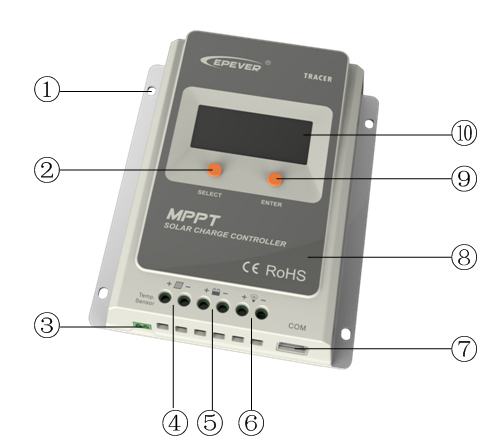 Multiple load control modes: manual control, light ON/OFF, light On+Timer and test mode. - 9. Support 3 charging preprogram options for battery: Sealed, Gel, Flooded. - 10. 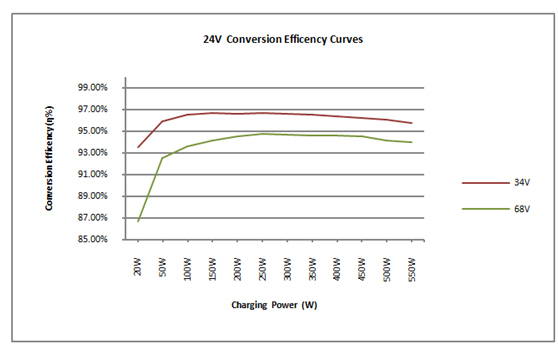 Battery temperature compensation function. - 11. Real-time energy statistics function.